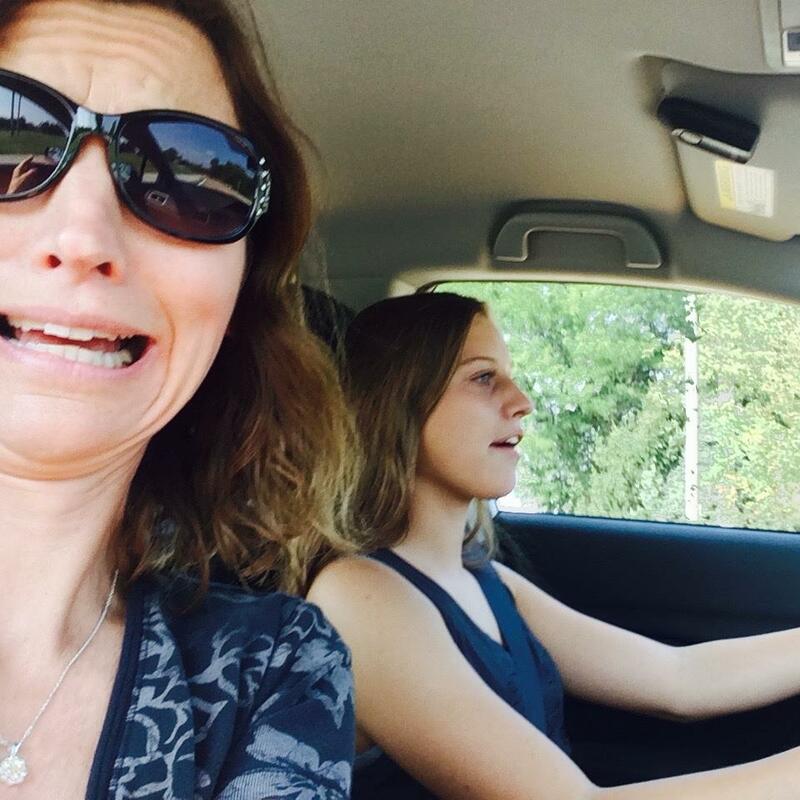 What can be Learned from Teaching Your Teen to Drive? We have embarked upon a new chapter in parenthood. Teaching our oldest to drive has brought me to a whole new level in letting go and trusting God. This picture is actually a little over exaggeration of my level of anxiety. She is actually doing a fine job and taking driving seriously. In fact this is the first time in fifteen years my child has fully hung on my every word. The child has never listened to my advice and instruction more intently. There has been a deepening of the mother/daughter relationship as trust, listening, and obedience has been “taking the wheel”. Coming home from school the other day she exclaimed “Hey mom we watched a video in drivers ed. and they said the exact same thing you told me in the video!!! !” As I learn to trust her she is learning to trust the wisdom of her momma as well! As I hear instruction spew from my own mouth on how to be prepared at all times for obstacles, drive defensively, plan ahead, focus on the road ahead of you, be aware of your surroundings, etc… I am being reminded of my own journey through life with Jesus. As I teach driving safety I wonder if I am teaching and leading my children to the one who can lead them through this life? There have been times of learning the hard way by suffering a consequence of my own choices that I thought “Well that is what God’s word and my parents told me would happen”. The more I listen to God and His word the deeper my trust in His wisdom. The more I trust Him the more He entrusts me with His purpose, plan, joy, peace, and blessing. As a follower of Jesus my focus should stay on the path He has placed before me. There are always obstacles pulling out in front to stop, slam, or throw a follower of Christ off course. It is not an easy road, but if one is armed with the Word of God and prayer then we always have the best defensive driver on our side. < What is There To Look Forward To?